The fourth quarter of 2017 marked the end of an era for mortgage lending. For the first time, a nonbank lender was top of the mortgage origination market. Digital lender Quicken Loans made more than 25 billion worth of mortgages in the fourth quarter of 2017 alone, surpassing banking giant Wells Fargo. With over 30,000 lending agencies nationwide, just how did this company started in 1985 with only 5,000 dollars in capital overtake international banking powerhouses? The answer: focusing on customer needs. With the recent string of banking scandals over questionable sales practices and hidden fees, consumers had begun looking for alternatives and Quicken became their solution. What Quicken Loans quickly realized is while there is not much of a difference between mortgages; there are significant differences in the experience of obtaining one. Therefore they went about creating a digital platform that focused on user experience not small interest rate differences. That strategy has translated into the release of Rocket Mortgage, which is marketed almost entirely on efficiency. The idea that as a consumer you can turn a 30-day affair full of paperwork, research, and stress into a ten-minute application on a smartphone is about as user centric as a lender can get. Borrowers have been extremely responsive to this approach: Rocket Mortgage accounted for 98 percent of Quicken Loans’ new mortgage origination in 2017. However, Rocket Mortgage has been met with sharp criticism on the regulation side. Less than a decade after the housing industry experienced one of the worst crises in its history, the ability to get a mortgage that easily terrified regulators. Quicken Loans was quick to point out that they never made a subprime loan even while catering to those that had previously been turned down by banks. Nonetheless new regulations were drafted, which has yet to slow down the new lending leader. The digital platform has allowed Quicken Loans to not only dominate user experience, but also returns. By not owning a single brick and mortar location and operating fully online, the company has an extremely lean operating basis. They’ve taken some of that extra revenue and transferred it into becoming experts at gathering, analyzing, and applying vast quantities of data they collect from their clients to assess credit risk, which is how they keep default rates low. 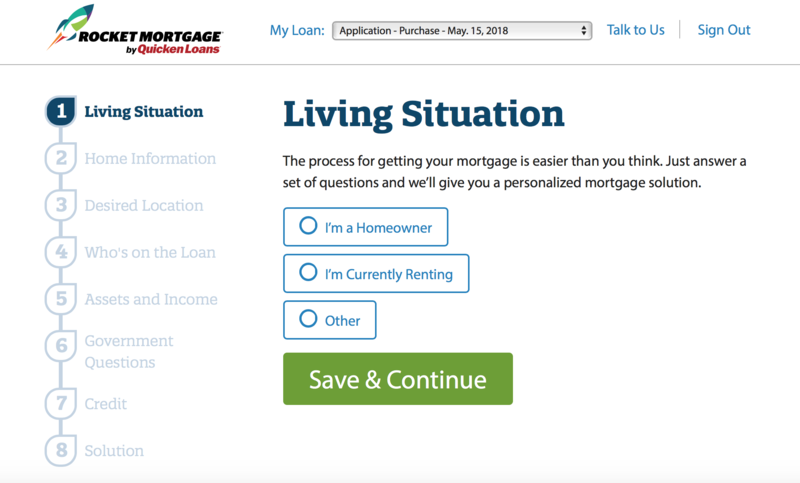 Rocket Mortgage walks users through a simple, eight-step online wizard. Basic information such as current assets, desired location for a new home, and credit history are major factors in the Rocket Mortgage process. While Quicken Loan’s rise has been astounding, it doesn’t mean small banks should be completely counted out. Small banks can succeed by combining outstanding personal service with a streamlined online application process. Smaller lenders have always counted on the personalized customer service that banking giants couldn’t offer, and this is where they can still compete against online-only lenders. In addition to personalized service, going back to the drawing board and improving the application process is a simple way for smaller banks to get back on track. The best way to do this is creating a similar digital lending platform that engages customers through local expertise and personal experience. This lack of a personal connection is the reason why nonbank lenders have industry low retention rates. Small banks also offer a number of benefits that Quicken Loans cannot. Namely offering more competitive pricing along with the ability to link mortgages with other banking products. Because Quicken Loans acts as a financial intermediary, they aren’t going to be able to offer holistic financial advice or planning. Likewise they don’t offer savings accounts, investments, or other types of loans. The competitive pricing is also an advantage that is too often overlooked. When coupled with a comparable digital platform, customers flock to the lender that can provide them the best rate and service. Quicken Loans often charges .25-.4 percentage points higher than the next cheaper alternative. Small banks are in a strong position to compete against Quicken’s rates. The enormous growth by Quicken Loans in the last decade is proof enough that digital lending experiences are what the modern consumer wants, but it remains to be seen how smaller banks fit into the picture. 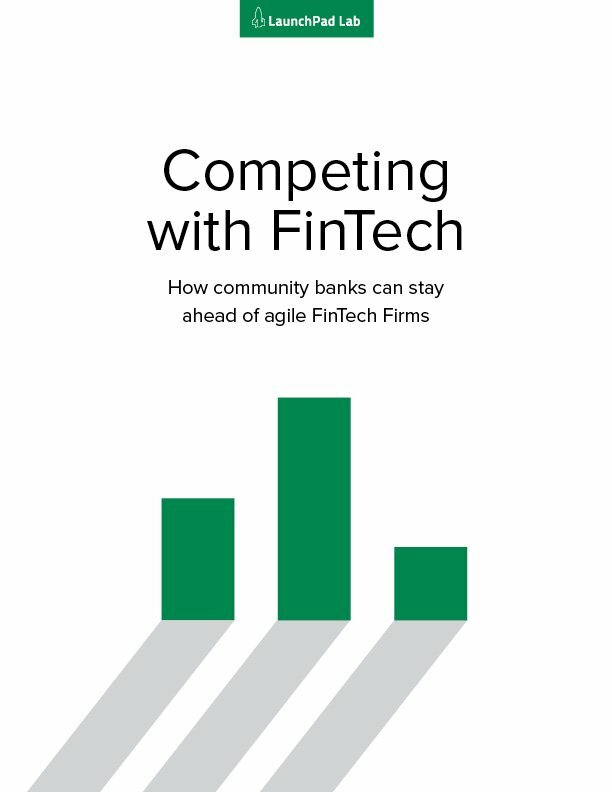 By coupling a digital platform with better rates and personalized service, community lenders may once again control the origination business.